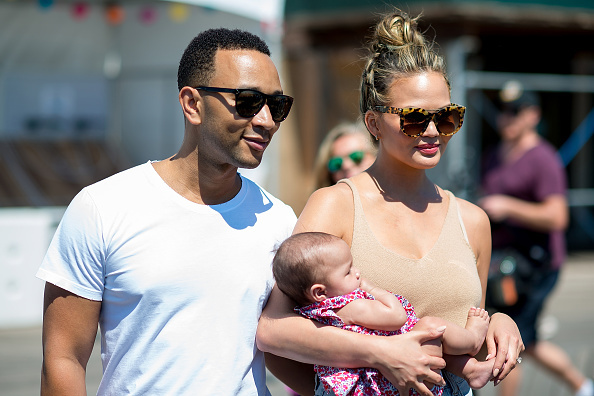 Chrissy Teigen’s social media presence is an endless source of quick-witted social observations, #relationshipgoals with her musician husband, John Legend, and — of course — precious snaps of her beautiful baby daughter, Luna. Whether we are treated to images of baby Luna appearing as a legit miniature John Legend or sitting in an armchair that is adorably too large for her newborn size, Chrissy delivers the cuteness. And earlier today, the model mama presented the world with the sweetest infant chef we will ever know. It’s Chrissy in the kitchen, cradling a baby Luna, adorned with the tiniest chef’s hat. "I have dreamed of this day!" Considering Chrissy has made quite the name for herself as a lowkey, innovative, and fun food-loving chef (shout-out to her delish cookbook, Cravings), we can only imagine how many recipes the model is dying to pass down to her daughter.